The field of 64 is finally set, and the 2018 NCAA Baseball Championship is set to begin this weekend! 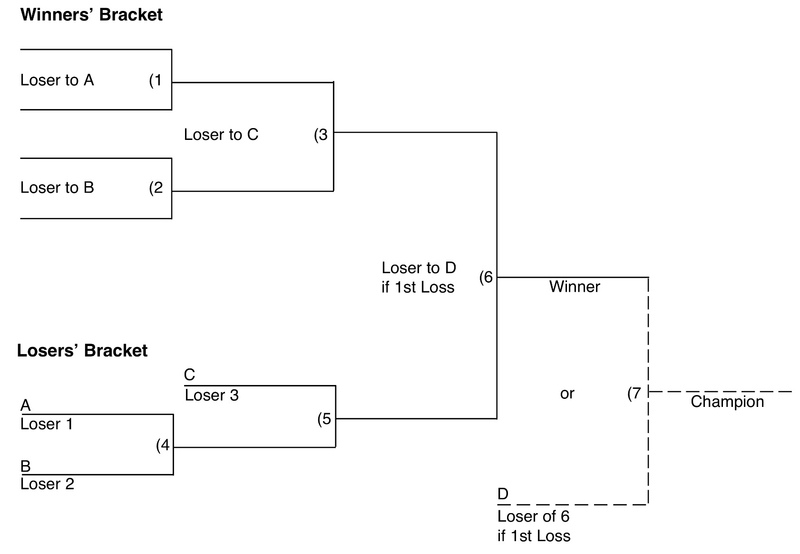 However, unlike the men’s and women’s basketball tournaments, the baseball edition does not follow the standard 64-team single elimination style format. So as a result, most people who aren’t all that familiar with the tournament’s inner workings could find themselves easily confused as to how the tournament actually works. It will be a lot of information to take in, but the aim of this piece is to help educate everyone on how the tournament works. 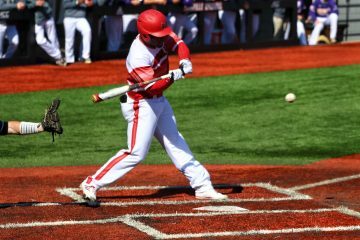 The NCAA Baseball Tournament is a combination of both the double elimination and best-of-three tournament formats, with the regionals round being the former, the super regionals round being the latter, and the College World Series being a combination of both. Though we’ll take this one step at a time. Before any games get underway, it first begins with the seeding. The top 16 teams of the tournament are assigned what is called a “national seed”, and this helps shape the tournament and designate who is playing who and where they are playing upon advancing to the next round. Each team that is assigned a national seed is granted hosting rights for the regionals round. 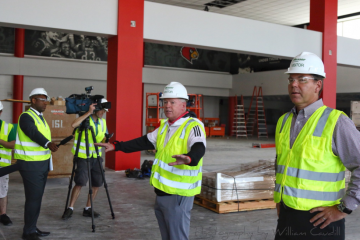 The only way a national seed cannot host a regional is if there are scheduling conflicts with other tenants that use the host team’s facility, or if the team’s facility do not meet proper standards to house all potential media. This rule also applies to the super regionals round, however it has only come into play twice in the tournament’s history. Since there are 16 national seeds, obviously this also means there are 16 host sites for the regionals round. All 16 regionals are aligned to fit your standard 16-team single elimination tournament. Meaning the #1 national seed regional is matched up against the #16 national seed regional, the #2 seed against the #15 seed, and so on and so forth. This comes into play in all levels of the NCAA Baseball Tournament, including all the way up to the CWS Final. For the first two games of the regional, the #1 seed will play the #4 seed, the #2 seed will play the #3 seed, and the rest of the regional will play itself out from there. The winner of the regional will advance to the super regionals round. The highest regional seed in the super regional will be the host. For example, if one regional winner was a #1 seed in their regional and the other regional winner was a #3 seed in their regional, the #1 seed will host. If both regionals winners are national seeds, then the higher national seed will host. Once the host site is determined, the two teams play their best-of-three series, with the winner advancing to the College World Series in Omaha, Nebraska. 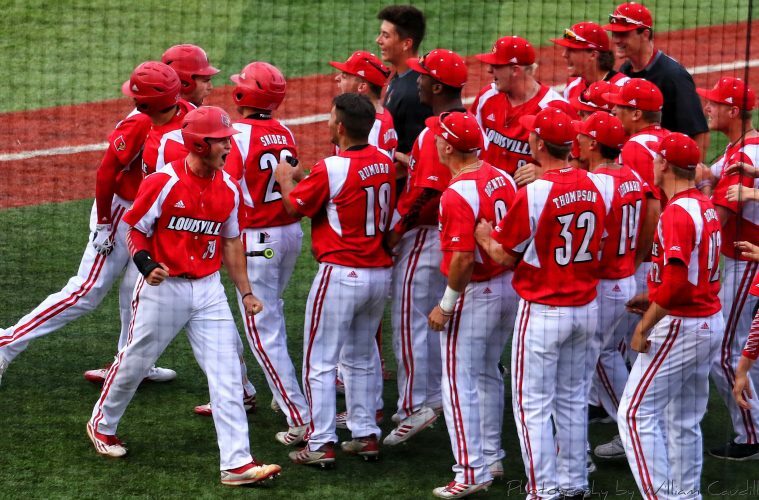 While the regionals were double elimination and the super regionals were best-of-three, the College World Series cranks it up a notch and combines both of them. The remaining 8 teams that punched their ticket to Omaha will square off in a pair of 4 team double elimination tournaments (like in the regionals), with the winners of each tournament facing off in the CWS Final, which is a best-of-three series (like in the super regionals). The placement of each team in the College World Series is not random, and follows the model of the initial regional pairings. For example, if all top 8 national seeds made it to the CWS, Bracket 1 would consist of #1 vs. #8 and #4 vs. #5, while Bracket 2 would consist of #3 vs. #6 and #2 vs. #7, vaguely resembling your standard 8-team single elimination bracket. Using the model in the last paragraph, I’ll add Louisville to the mix so that it makes a lot more sense. 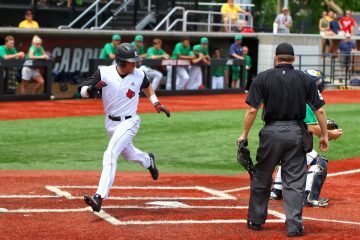 The Cards are a part of Texas Tech’s regional, who is the #9 national seed. That regional is paired up against Georgia’s regional, who is the #8 national seed. 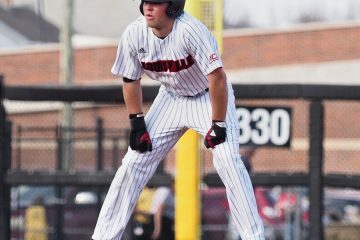 If Louisville made it to the CWS, and the favorites (according to seed) won in every other the game in the entire tournament, Louisville would face Florida for their first game in the CWS because Florida is the #1 national seed. If you have any more confusion as to how the tournament works, follow the link here for a detailed interactive bracket on the NCAA’s website.